Dive deep into the endless space to fight hordes of enemies and protect the galaxy in this epic shoot'em up experience. Board your space ship now and ready for war! 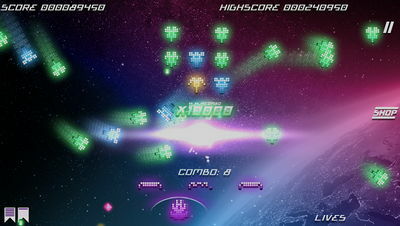 - Shoot enemy ships and clear the universe of all the baddies without mercy. - Full HD high-dpi graphics that add greatly to the gameplay experience! 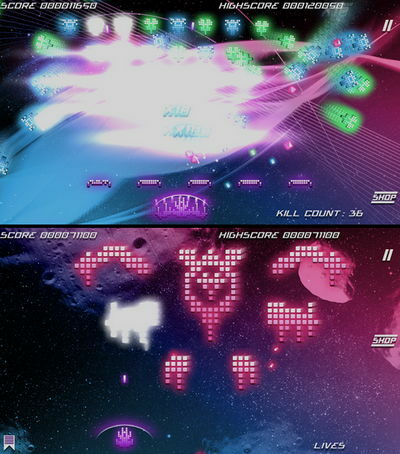 - Destroy asteroids and collect resources for upgrading your ship and power-ups including bullet time mode, multi-ways shot, and much more. - 8 waves of 5 stages, with increasing difficulty. Install Apk, Copy ‘com.realtechvr.kosmikrevenge’ folder to sdcard/Android/obb, and play.